Heading for Troodos? Dress warm, and let the fun and memorable times begin! While using our Cyprus car hire services, below is your guide to driving safely in Cyprus and especially if driving to the mountains. With the recent drop in temperatures, we’re all wanting to head to the mountains this weekend to frolic in the snow. But bad weather – even if we’re just cruising the motorway in heavy rain – always heralds an increase in traffic accidents. Here’s how to stay safe on the roads, whatever the conditions. Slow down on snowy roads. Even if you have all-wheel drive, reduce your speed about 10 km per hour below the speed limit. If it still feels iffy, cut back another five km per hour until you’re comfortable. Beware of black ice. Yes, we do get this in Cyprus – especially on the shaded bends near Amiandos. It’s nearly impossible to see this crystal-clear glaze, but you can spot it when your headlights reflect off the road at night. It tends to form on bridges, in shadows, and at intersections. That’s why, in bad weather, you should slow down a couple of hundred feet before stop signs and lights. Don’t brake during a turn. To avoid a spin-out, gradually start turning the steering wheel and feathering the brakes lightly before the curve. Then coast through the turn with your foot off the brake and off the gas, so as not to gain speed. When you have your foot on the brake, the wheels stop turning. That’s when the car loses control and goes in any direction that momentum decides to take it, like a toboggan. Turn into a skid. Remain calm, take your foot off the brake and the gas pedals, and turn the car in the direction the car is skidding. For example, if you’re sliding to the left, gently turn the steering wheel to the left. This cancels out the skid. The car corrects itself and goes straight. If all else fails and you have the option to do so safely, leave the road and drive the car into a snow bank. Slow down by at least 5 or 10 km an hour in rainy weather. 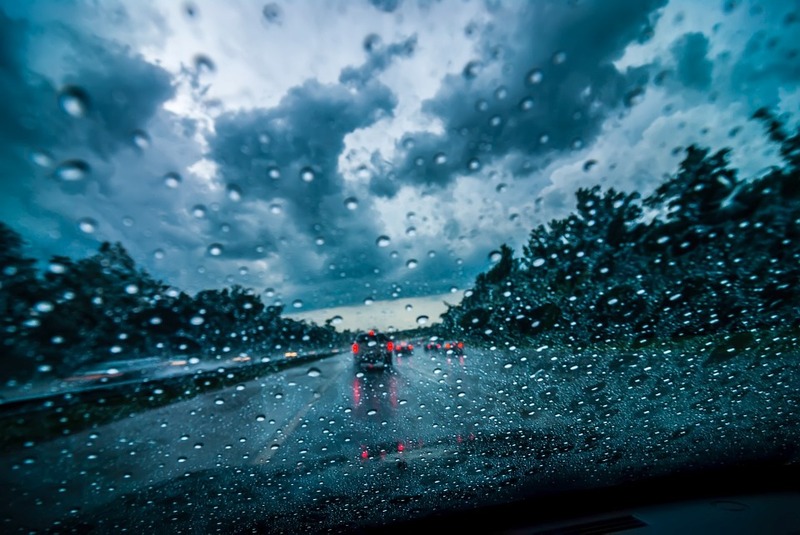 At certain speeds, your car can hydroplane, lifting off the ground, and you will be driving on a layer of water. If that happens, don’t panic; just slow down until the car feels normal again. Avoid driving through flooded areas. It will be difficult to gauge the water’s depth. This is dangerous in itself. And if water gets sucked into the air-intake valve and then the engine, the car will probably shut off. Feather the brakes after you’ve driven through a puddle. And make sure you take your foot off the gas. This creates heat and friction, which will help dry the brakes. Prep your car for bad weather. Okay, this is Cyprus, and you’re never going to be far from civilisation. But ensuring your car is in tip top condition and you have everything you need in an emergency is certainly going to make those breakdowns more manageable. Inspect your windshield wipers, and replace any that have cracked rubber. Clean headlight covers. When they sit in the sun, they eventually turn yellow and cloudy, and that cuts the amount of light coming from your headlights. Check tire treads. If your tires are bald, you’re going to fall foul of pretty much every bend in the mountains – and your fellow drivers. Stock an emergency kit. You’re probably not going to need the whole shebang (road flares and an ice scraper), but you may just be glad you’ve packed a blanket, a shovel, jumper cables, and a tow rope. Make sure your car is out of the way of traffic. Pull off the road and put on your hazard lights so your car is clearly visible to other vehicles. Call our 24/7 emergency line and stay with your car until help arrives. Use the floor mats in a pinch. 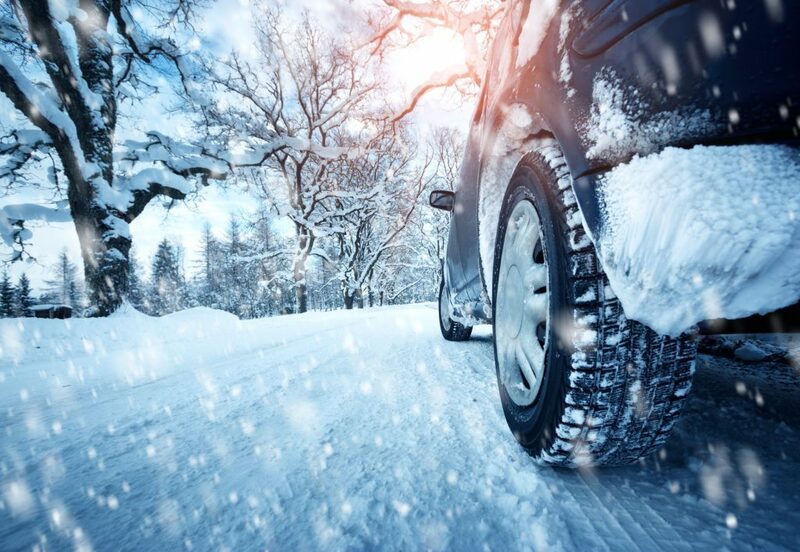 If your tires are stuck in the snow, you can use the car’s floor mats under tires to help gain traction. And – though this probably goes without saying – always make sure you have at least one mobile phone and a power pack with you in case of emergency.